Booking.com B.V. of Amsterdam, Netherlands, is popular for its “Booking.Yeah” commercials. They also own DirectBooking.com, and a company from Morocco with a French trademark for DIRECT-BOOKING went after them. The Complainant owns the exact dashed variant, Direct-Booking.com and DirectBooking.net. No wonder they were lusting after the .com. The Respondent stated that they in fact objected to the Complainant’s trademark initially, but eventually agreed to co-exist. Regardless, they maintain their own strong mark for BOOKING and strongly opposed the claims of this UDRP. The domain DirectBooking.com was registered in 1998 and in 2016 it was acquired by Booking.com using the services of MarkMonitor. There is no information about the amount involved in that sale, and to complicate things further, it’s still listed for sale on Sedo by its former owner. A three member panel at the WIPO delivered a decision favoring the Respondent, but without a finding of Reverse Domain Name Hijacking that had been requested. Mr Pierre Chapoutot v. Booking.com B.V. The Complainant is Mr Pierre Chapoutot of Marrakech, Morocco, represented by Taylor Wessing, France. The Respondent is Booking.com B.V. of Amsterdam, Netherlands, represented internally. The disputed domain name <directbooking.com> is registered with MarkMonitor Inc. (the “Registrar”). The Complaint was filed with the WIPO Arbitration and Mediation Center (the “Center”) on December 22, 2017. On December 26, 2017, the Center transmitted by email to the Registrar a request for registrar verification in connection with the disputed domain name. On December 29, 2017, the Registrar transmitted by email to the Center its verification response confirming that the Respondent is listed as the registrant and providing the Respondent’s contact details. In accordance with the Rules, paragraphs 2 and 4, the Center formally notified the Respondent of the Complaint, and the proceedings commenced on January 8, 2018. In accordance with the Rules, paragraph 5, the due date for Response was January 28, 2018. On January 11, 2018, the Parties exchanged correspondence in relation to the resubmission of one of the annexes to the Complaint. At the Respondent’s request, the due date for Response was extended to February 1, 2018, in accordance with paragraph 5(b) of the Rules. The Response was filed with the Center on January 30, 2018. The Center appointed Assen Alexiev, Pierre-Yves Gautier, and Willem J. H. Leppink as Panelists in this matter on February 27, 2018. On March 6, 2018, the Center notified the Parties of the recusal of Pierre-Yves Gautier as Panelist due to unforeseen circumstances. On March 9, 2018, the Center appointed Michel Vivant as Panelist. The Panel finds that it was properly constituted. Each member of the Panel has submitted the Statement of Acceptance and Declaration of Impartiality and Independence, as required by the Center to ensure compliance with the Rules, paragraph 7. The Complainant is the owner of the French trademark DIRECT-BOOKING with registration No. 3803309, filed on February 3, 2011 and registered on May 16, 2014 for services in International classes 35 and 39. This trademark was also filed for services in International class 43, but these services were withdrawn following a provisional refusal issued by French National Institute of Industrial Property. The Complainant is also the registrant of the domain names <directbooking.net>, registered on April 14, 2009, <direct-booking.com>, registered on December 20, 2010, and <direct-booking.net>, registered on May 26, 2011. On April 14, 2017, the Complainant and another person registered the company Direct Booking LLP under the laws of Nevada, United States of America. The Respondent is part of the Priceline Group (Nasdaq: PCLN). The Respondent owns and operates Booking.com, which it describes as the world leader in reserving accommodation online, with over 1,000,000 room nights reserved daily. – the French trademark BOOKING with registration No. 043276225, registered on February 17, 2004 for services in International classes 9, 35, 38 and 42. A coexistence agreement governed by French law was concluded between the Complainant and the Respondent in January 2012. The disputed domain name <directbooking.com> was registered by the Respondent on March 3, 2016. The Complainant submits that it uses the denomination “DIRECT BOOKING” to offer services that allow consumers to ask any hotel directly for its best offer according to their travel purposes and enable the selected hotel to create and propose a bespoke special offer, with the aim to remove the commercial intermediaries between hotels and their clients. The Complainant submits that it contacted the Respondent on December 16, 2015 to see whether a partnership between the Parties could be contemplated. In several email exchanges the Complainant revealed information of paramount importance regarding its business. On February 14, 2016, the Respondent indicated that “[they] already do something very similar for [their] frequent guests with properties” and the Complainant did not hear from the Respondent again. Right after these unsuccessful discussions regarding a potential partnership between the Parties, the Complainant noticed that the disputed domain name was purchased by the Registrar on March 3, 2016 and later that the ownership information in the WhoIs record for the disputed domain name was updated on May 18, 2016 so as to indicate that the Respondent was its registrant. Thus, the Registrar acted as an intermediary for the purchase of the disputed domain name by the Respondent. On October 30, 2017, the Complainant sent a cease-and-desist letter to the Respondent to communicate a settlement offer to resolve this matter amicably. However, no amicable settlement could be found, so the Complainant initiated the present proceeding against the Respondent. The Complainant asserts that the disputed domain name is identical or confusingly similar to the Complainant’s DIRECT-BOOKING trademark. The disputed domain name reproduces this trademark in its entirety, except for the hyphen, which difference does not exclude a likelihood of confusion in the mind of Internet users. According to the Complainant, the Respondent has no rights or legitimate interests in the disputed domain name. The Respondent is not affiliated with the Complainant and has not been authorized by the Complainant to use and register its trademark or to seek registration of any domain name incorporating the Complainant’s DIRECT-BOOKING trademark. On the contrary, pursuant to the coexistence agreement concluded between the Complainant and the Respondent, the Respondent was not authorized to file, register or use a sign that is identical or confusingly similar to DIRECT-BOOKING, since the coexistence agreement was put into place in 2012 so as to let the Parties’ trademarks coexist. The preamble of the coexistence agreement states that: “In order to organize the coexistence of their respective trademarks, the parties have decided to conclude the present agreement hence agreed to the following”.As the agreement is governed by French law, the Parties’ undertakings must be interpreted according to the rules of interpretation set by the French Civil Code. These rules provide that contracts must be negotiated, entered and executed in good faith, that the execution of a contract in good faith is a condition of its validity, and that the contractual provisions must be interpreted in light of the common intention of the parties as well as of all the clauses of an agreement. Since the Complainant and the Respondent wished their trademarks to coexist, this meant that the Respondent was not allowed to file, register or use a sign that is identical or confusingly similar to the Complainant’s DIRECT-BOOKING trademark. Otherwise, the Parties’ trademarks would not coexist, and the absence of such undertaking would contravene the preamble of the coexistence agreement, the common intention of the Parties and more generally the good faith principle, and would deprive the coexistence agreement of its rationale and of its existence. In any case, the registration of the disputed domain name by the Respondent prevents the Complainant from using the DIRECT-BOOKING trademark and thus constitutes an opposition to its use, in breach of article 4.1 of the coexistence agreement concluded between the Parties. Therefore, according to the Complainant, in view of the Respondent’s contractual obligations the Respondent has no prior rights or legitimate interest in the disputed domain name, despite the trademarks that it holds, including the Respondent’s BOOKING.COM and BOOKING trademarks. The Complainant further states that the Respondent is not commonly known by the name “Direct Booking”, but exclusively by the name “Booking.com”, and consumers would not think of the Respondent when confronted by the terms “Direct Booking”. In addition, the Respondent did not demonstrate use of, or demonstrable preparations to use, the disputed domain name in connection with a bona fide offering of goods or services, although it had acquired the disputed domain name almost two years ago. The disputed domain name is inactive and is listed for sale via a third-party seller. The Complainant submits that considering the emails exchanged with the Respondent, it appears that the disputed domain name was primarily registered for the purpose of disrupting the business of the Complainant and to prevent the Complainant from reflecting its trademark in a corresponding domain name. In addition, the Respondent purchased the disputed domain name through a third party to hide its identity, which according to the Complainant shows that the Respondent has no rights or legitimate interests in respect of the disputed domain name. The Complainant contends that the disputed domain name was registered and is being used in bad faith. In view of the coexistence agreement between the Parties and the discussions between them for potential partnership, the Respondent was aware of the Complainant and of its concept behind DIRECT-BOOKING when the Respondent registered the disputed domain name. The Respondent was also aware that the coexistence agreement did not allow it to use or register the Complainant’s DIRECT-BOOKING trademark. According to the Complainant, the Respondent had no legitimate interest to acquire the disputed domain name. The argument of the Respondent that Internet users would assume that the disputed domain name leads “directly” to the Respondent’s website at the domain name <booking.com> is flawed, as otherwise all companies would register domain names including their mark preceded by the term “direct”, such as <direct-coca-cola.com> or <directnike.com>, to show that the domain names lead “directly” to their websites. The Complainant further states that parties do not register the trademarks of their competitors as domain names for no reason. The Respondent does not intend to use the disputed domain name and has kept it inactive for almost two years after its acquisition. The disputed domain name is offered for sale on the SEDO platform with a minimum offer fixed at USD 90. There is no evidence that a website or other online presence is in the process of being established, and no evidence of advertising, promotion or displays to the public of the disputed domain name. On the contrary, the Respondent indicated to the Complainant that it merely wishes to redirect the disputed domain name to its website. This, according to the Complainant, confirms that the Respondent had purchased the disputed domain name to cause difficulties to the Complainant who is a direct competitor of the Respondent. The Complainant requests the transfer of the disputed domain name to its affiliated company Direct Booking LLP. The Respondent submits that it currently holds thousands of domain names and the registration of the disputed domain name was a logical step in this strategy and was unrelated to any alleged activities of the Complainant. According to the Respondent, it is inconceivable that the Complainant was not aware of the Respondent at the time the Complainant decided to start a business under a name that is confusingly similar to the name of the Respondent, and the Complainant’s conduct was potentially an attempt to piggyback the high repute and significant goodwill vested in the Respondent’s name. For the specific limited purposes of the Policy and this administrative proceeding, the Respondent concedes that the first element of the Policy has been satisfied. According to the Respondent, the Complainant’s arguments rely on a misinterpretation of the coexistence agreement between the Complainant and the Respondent. The administrative proceeding under the Policy is not the right forum to enter into a discussion on whether the Complainant’s or the Respondent’s interpretation of the coexistence agreement should prevail. The Respondent submits that on the basis of its BOOKING trademarks, the Respondent sent a cease-and-desist letter to the Complainant on April 7, 2011, requesting the withdrawal of its French trademark application DIRECT-BOOKING with No. 3803309, arguing that the Respondent owns earlier rights in the sign BOOKING.COM. The Respondent did not, however, file an opposition against the Complainant’s DIRECT-BOOKING trademark application, as the Parties entered into the coexistence agreement in January 2012. This agreement does not explicitly mention the use of designations or trademarks in the online context, such as domain names, by the Respondent. In order to determine whether the Respondent has violated the coexistence agreement, one has to apply French law as the law governing the agreement, to analyze the intentions of the Parties, to collect further evidence and carry out discovery and cross-examination of witnesses, and to interpret the coexistence agreement. Doing this would exceed the brief given to the Panel by the Policy. The Respondent further submits that in any case it did not act in violation of the coexistence agreement by registering the disputed domain name. The Respondent’s registration of the disputed domain name did not constitute bad faith under French law due to the alleged contravention of the preamble of the coexistence agreement. This preamble states the intention of the parties to “organize the coexistence of their respective trademarks”, and the Respondent’s obligations are listed in article 4.1 of the agreement and entail “never to oppose to the registration, to the renewal and to the use of the trademark DIRECT-BOOKING” (i.e., a negative obligation to refrain from taking legal action vis-à-vis trademark application No. 3803309 DIRECT-BOOKING). The Complainant’s interpretation that the Respondent’s obligations cover any reference by the Respondent to the terms “direct” and “booking”, whether in a trademark sense or not, whether including the hyphen or not, whether in relation to the services that are covered by the Complainant’s trademark registration or not, is farfetched. The Respondent further submits that the Complainant filed its trademark application, which led to a dispute with the Respondent. The dispute was settled through the coexistence agreement, whereby the Complainant made several undertakings to ensure that the Respondent would not take further action against the Complainant’s trademark application, encapsulated in the Respondent’s undertaking in article 4.1 of the coexistence agreement. If the Complainant intended to further restrict the activities of the Respondent beyond the Respondent’s undertaking to refrain from opposing the Complainant’s trademark application, the Complainant should have brought this up explicitly during the negotiations that led to the coexistence agreement. It may be that the Complainant did not want to raise any additional restrictions for the Respondent, such as an undertaking prohibiting the Respondent from registering the disputed domain name, to avoid jeopardizing the negotiations altogether and thereby risking subsequent enforcement activity by the Respondent vis-à-vis the Complainant’s trademark application. In view of this, the Respondent suggests that the Complainant may have acted and is still acting contrary to the principle of good faith itself by trying to broaden the scope of the coexistence agreement beyond the Parties’ intentions at the time of entering into the agreement. The Respondent further states that the Complainant’s trademark application was refused in International class 43 by the French National Institute of Industrial Property and does not cover the services that are specified in article 2 of the coexistence agreement, so the Complainant appears to require the Respondent to refrain from using the term “direct-booking” beyond the scope of the Complainant’s trademark. The Complainant does not have trademark rights for DIRECT-BOOKING covering the services that are specified in article 2 of the coexistence agreement, so it is unlikely that the Respondent can be held to its undertaking as regards services in International class 43. At the same time, according to the Respondent, the registration and use of the disputed domain name qualifies as use of the Respondent’s BOOKING.COM and BOOKING trademarks, so by analogy, by filing the Complaint the Complainant acts contrary to its undertakings under Chapter 3 of the coexistence agreement never to oppose the use of the BOOKING.COM trademarks by the Respondent. When the Complainant registered its domain names, i.e., from April 14, 2009 onwards, and filed the French trademark application for DIRECT-BOOKING with No. 3803309 on February 3, 2011, the Respondent already owned a significant portfolio of domain names and trademarks containing the element “booking”, had been operating under the name Booking.com for a long time and was already a well-established accommodation reservation provider. Therefore, it is inconceivable that the Complainant was not aware of the Respondent when it chose to operate a business under the name Direct Booking, particularly because the Complainant intended to register his trademark also in class 43, which relates to the services that the Respondent provides. It is highly likely that the Complainant intended to piggyback on the Respondent’s reputation. The Respondent contends that it has rights and legitimate interest in the disputed domain name, which consists of “direct” in combination with the Respondent’s BOOKING.COM trademark. The Respondent is the proprietor of a large portfolio of registered trademarks that include and/or consist of the designation BOOKING.COM or BOOKING, and uses these trademarks in relation to the promotion, identification and functioning of the Booking.com website and apps.  The disputed domain name includes the Respondent’s BOOKING.COM trademark in its entirety, and the only difference is the addition of the word “direct”. The Complainant argues that it is not correct that Internet users assume a domain name that is composed of the term “direct” in combination with a trademark will redirect to the website of the owner of that trademark, as otherwise all companies would register domain names including their trademark preceded by the term “direct”, such as <directnike.com>, but this domain name is registered by Nike, Inc., which shows according to the Respondent that this argument of the Complainant is false. The Respondent asserts that it uses a name corresponding to the disputed domain name in connection with a bona fide offering of services because the Respondent’s primary domain name <booking.com> qualifies as a name corresponding to the disputed domain name in view of the minor differences between them. The Respondent has engaged in demonstrable preparations to use the disputed domain name by updating the name servers to the Booking.com name servers. It has always been the intention of the Respondent to redirect the disputed domain name to the website at “www.booking.com”, in line with what the average consumer would expect. The Respondent denies that the disputed domain name was registered and is being used in bad faith. The Complainant’s argument that the anonymous manner in which the Respondent registered the disputed domain name is evidence of bad faith fails to recognize a very well established and legitimate practice in the domain name industry. In order to avoid excessive out of pocket costs companies will very often conceal their identity when approaching a domain name owner with an offer to purchase a domain name. Immediately after the purchase of the disputed domain name, the WhoIs registration details were updated to reflect the Respondent as its owner. If the Respondent had anything to hide it could have opted to hide its registration details behind a privacy shield. The Respondent denies that the Complainant had made a substantial disclosure to the Respondent which led to the registration of the disputed domain name by the Respondent, and points to the comment by the Respondent at the time that the Respondent was already providing services similar to those described by the Complainant. The Respondent admits that the disputed domain name does not redirect to an active website, and explains that this is due to the Respondent’s failure to complete the redirect of the disputed domain name to the Respondent’s website at “www.booking.com”, which was due to an administrative inadvertence by the Respondent, rather than a deliberate choice. Immediately after the purchase of the disputed domain name, the name servers were updated to reflect the Respondent’s name servers and the next step would have been to complete the redirect to “www.booking.com” from the technical side, but these last steps were never taken, and the Respondent only became aware of this negligence upon receipt of the Complaint. The Respondent asserts that the disputed domain name is not for sale and the Respondent will redirect it to its primary website following the conclusion of this administrative proceeding. The Respondent disputes the Complainant’s assertion that it offers services under the denomination “Direct Booking” and notes that the case file does not contain any evidence in support of this assertion. Rather, it seems that there is no active use of the Complainant’s trademark and of its domain names <direct-booking.com>, <direct-booking.net>, and <directbooking.net>, as these domain names do not resolve to an active website. The only document submitted by the Complainant without any context in this regard is a document that does not prove any concrete business operation or a specific business plan; there is no relevant statistical or financial information that shows that the Complainant runs a business under the name Direct Booking. In view of this, it is impossible that the Respondent registered the disputed domain name for the purpose of disrupting the business of the Complainant, because the Complainant does not appear to be running a business. The Respondent goes on to state that its registration of the disputed domain name was not without reasons in view of the Respondent’s rights and legitimate interests, and notes that non-use of a domain name is permitted and does not automatically lead to bad faith. The Respondent asks the Panel to make a finding of reverse domain name hijacking, since the Complainant did not bother to negotiate the purchase of the disputed domain name while it was for sale but now tries to obtain it by filing the Complaint on false grounds. Lastly, the Respondent points out that the Complainant’s request for the transfer of the disputed domain name to DIRECT BOOKING LLP rather than to the Complainant is inadmissible pursuant to Paragraph 4(i) of the Policy, which allows a transfer only to the Complainant. It is not disputed between the Parties that the Complainant owns the French trademark DIRECT-BOOKING with registration No. 3803309. This satisfies the Panel that the Complainant has established that it owns registered trademark rights in DIRECT-BOOKING for the purposes of the Policy.  The relevant part of the disputed domain name is therefore “directbooking”, which is comprised of the two words “direct” and “booking”. The combination of these two words is confusingly similar to the DIRECT-BOOKING trademark of the Complainant, as the only difference between them is the hyphen between the two words in the trademark. In view of this, the Panel finds that the disputed domain name is confusingly similar to the DIRECT-BOOKING trademark in which the Complainant has rights. As a result, the Complaint succeeds under the first element of the Policy. The Respondent has provided evidence that it is currently the holder of valid trademark registrations for BOOKING.COM and for BOOKING in the European Union and a number of European jurisdictions that predate the registration of the Complainant’s DIRECT-BOOKING trademark. The Respondent has operated the domain name <booking.com> for a long period for the purposes of its business as an accommodation reservation provider. This business was already well established in many countries prior to the registration by the Complainant of its DIRECT-BOOKING trademark. If there were no other relevant circumstances in this case, the above facts might have been sufficient for the Panel to find that the Complainant has not met its burden on this element. The case is however not as straightforward as that. As shown by the evidence submitted by the Complainant, the disputed domain name has been inactive since its acquisition by the Respondent and was offered for sale at some point in December 2017. These circumstances make it unclear whether the Respondent’s intention was indeed to use the disputed domain name for redirecting Internet users to its website at “www.booking.com” or it was registered for some other purpose, especially since the disputed domain name was acquired by the Respondent less than three weeks after the Parties ended their discussions of a possible partnership. In view of the above, the Panel is of the opinion that the resolution of the issue of whether the Respondent has rights and legitimate interests in the disputed domain name has to be made on the basis of the coexistence agreement between the Parties. This agreement was signed following the filing by the Complainant of its trademark application for DIRECT-BOOKING and the issuance by the Respondent of a cease-and-desist letter against this trademark application. The Parties eventually settled this issue through the conclusion of the coexistence agreement. With it, the Complainant acknowledged the earlier rights of the Respondent in the trademark BOOKING.COM and undertook not to contest it or to oppose to its registration, renewal and use, consented to its use and registration, including new registrations, renewals and registrations of modifications of it, and undertook not to register the element BOOKING or BOOKINGS, exclusively or combined with an extension such as “.com”, and not to register or use the sign DIRECT-BOOKING with elements similar to the ones constituting the Respondent’s trademark. The Respondent undertook in turn not to oppose the registration, renewal or use of the DIRECT-BOOKING trademark, including new registrations, renewals, registrations of modification of this trademark, for the services it initially designated, as long as the Complainant complied with its undertakings. The preamble of the coexistence agreement states that it was entered into “in order to organize the coexistence of [the Parties’] respective trademarks”, and it does not contain any explicit undertakings in respect of the registration and use of domain names. The coexistence agreement is subject to French law and the Parties have agreed that the Paris courts would be competent to resolve any disputes between the Parties. The Panel notes that the administrative proceeding under the Policy is limited in scope to cases of “cybersquatting” and is not intended to resolve broader legal or contractual disputes, particularly those that are not straightforward. A dispute between the Parties on the issue of whether the coexistence agreement between the Parties prohibits the Respondent to register the disputed domain name would require an interpretation of its terms. Such interpretation would require a deeper analysis of the Parties’ intentions, in particular an analysis of the contractual clauses in the broader context of the contract. The Panel is of the position that undertaking such an interpretation is outside the limited scope of the Policy, and declines to do so. Such dispute would be more appropriately addressed by the competent courts. It is notable moreover adding to the complexity of such a legal task (given that both Parties operate via Internet domain names) that the coexistence agreement does not mention domain names. In this respect, the Panel notes that it would have expected the Parties to have considered the use of the Parties’ trademarks for domain names during the negotiation of the terms of the coexistence agreement. However, there is no evidence on the record that such a discussion has taken place. In view of the above, and without prejudice to the right of the Parties to have their dispute finally resolved by the competent courts or the outcome of any such proceedings, the Panel finds no basis to conclude that the Respondent has no rights or legitimate interests in the disputed domain name. Since the Complainant has failed to establish the second element under the Policy, this would normally make it unnecessary for the Panel to deal with the issue of bad faith. Nevertheless, the Panel has found it appropriate to express its views on some of the relevant circumstances of this case and the related contentions of the Parties. The Complainant has contended that in view of the coexistence agreement between the Parties and the discussions between them on potential partnership, the Respondent was well aware of the Complainant’s DIRECT-BOOKING trademark and of the business concept behind it when registering the disputed domain name. According to the Complainant, the Respondent was also aware that the coexistence agreement did not allow the Respondent to use or register the Complainant’s DIRECT-BOOKING trademark. In a typical case, such a set of circumstances, if found to be present, may lead to a finding of bad faith registration. In the present case however, the decision on this issue depends on the interpretation of the terms of the coexistence agreement. As discussed in section 6.B above, entering into such interpretation is outside the limited scope of the Policy and the Panel is not prepared to do so. The Complainant has pointed out that the Respondent had purchased the disputed domain name shortly after the disclosure to it of the Direct Booking business concept, and has disputed the Respondent’s explanation that it had registered the disputed domain name because Internet users would regard it as directly leading to the Respondent’s website at “www.booking.com”, and that the Respondent’s intention was to redirect visitors of the disputed domain name to the same website. To rebut the Respondent’s explanations, the Complainant has pointed out that the disputed domain name has not been used by the Respondent for almost two years after its acquisition and was offered for sale in December 2017. On the record before it, the Panel agrees that the Respondent’s explanation of the reasons for the acquisition of the disputed domain name does not readily appear to be convincing in view of the very short time period between the termination of the Parties’ discussions of a possible partnership, the registration of the disputed domain name, and the non-use by the Respondent of the disputed domain name after its acquisition. Such conclusion is further supported by the fact that the disputed domain name was offered for sale in December 2017. The registration of a domain name identical or confusingly similar to a trademark of a competitor may be regarded as evidence of bad faith registration of a domain name. In the present case however, the Respondent correctly notes that the Complainant has provided no evidence that it carries out a business under its DIRECT-BOOKING trademark. In the lack of evidence in this regard, the Panel is not prepared to regard the Complainant as a competitor to the Respondent and to find that the Respondent had purchased the disputed domain name to cause difficulties to a competitor. It however remains unclear to the Panel what the actual reasons for the registration of the disputed domain name were and whether they were legitimate. At the same time the Panel notes that the Respondent’s business is well known and that it predated the Complainant’s concept by a considerable amount of time. It is entirely possible that the Complainant tried to capitalize on confusion with the Respondent’s prior mark and reputation. Looking at all the evidence in the present proceeding, it is not clear to what extent either Party has been operating in good faith, and as the Panel has determined, this is a matter that would be better disposed of in a judicial forum through proceedings offering a more thorough examination of evidence. The Respondent has requested the Panel to make a finding of reverse domain name hijacking (Rules, Paragraph 15(e)) (“RDNH”) as the Complainant has tried to obtain the disputed domain name on false grounds. 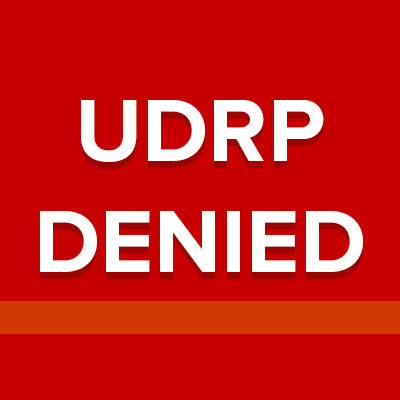 As set out in the WIPO Overview 3.0 of WIPO Panel Views on Selected UDRP Questions, Third Edition (“WIPO Overview 3.0”), section 4.16, UDRP panels have consistently found that the mere lack of success of a complaint is not itself sufficient for a finding of RDNH. As said before, the matter at hand is complicated. The fact that the matter may have been better addressed to a competent court is insufficient in itself for the Panel to find RDNH.